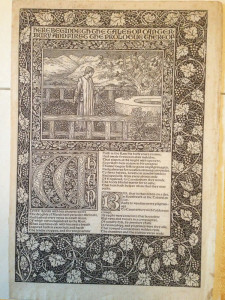 (KELMSCOTT PRESS) Chaucer. Workes . 1893. BIFOLIUM PROOF OF THE OPENING LEAF OF THE KELMSCOTT CHAUCER (AND ITS CONJUGATE), CONTAINING A VARIANT TYPESETTING DIFFERING FROM FINAL TEXT. 2 illustrated pages with full borders + 2 text pages. One of Only a Very Small Number printed for proof purposes and distributed to friends of William Morris. 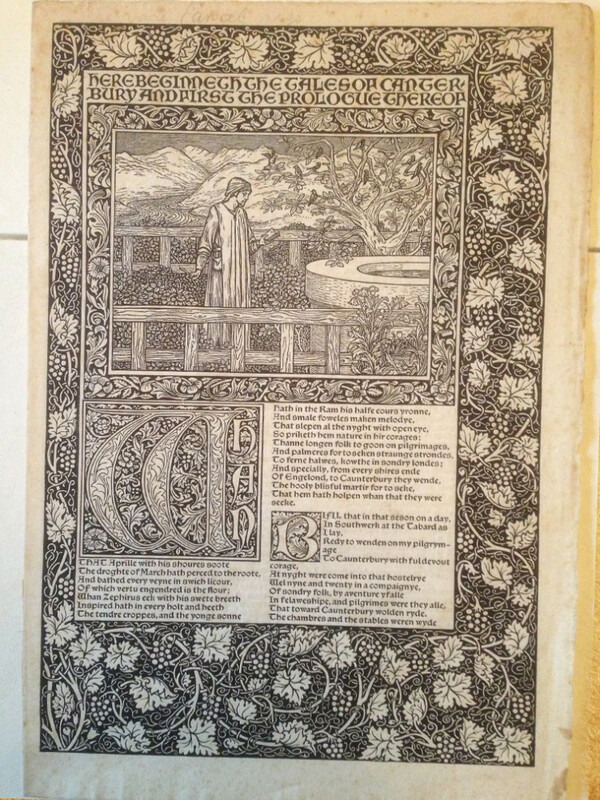 The Kelmscott Chaucer was published 3 years after this proof, in 1896. THE RAREST OF ALL KELMSCOTT PRODUCTIONS.